The first round was competitive. 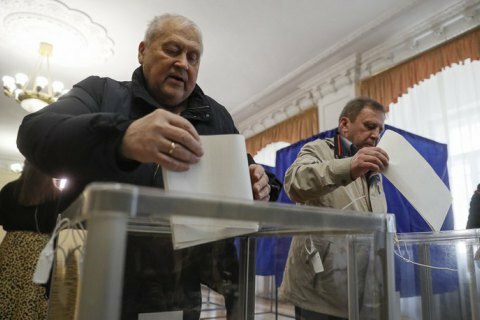 The European Union looks forward to a free, fair and transparent second round of the elections on 21 April, held in accordance with international standards, the spokesperson for the European External Action Service has said in a statement following the first round of the presidential election in Ukraine held on 31 March. "It is important that all parties adhere to democratic principles, respecting the will of Ukrainian people and avoid provoking unnecessary tensions," the statement continues. According to the OSCE/ODIHR Election Observation Mission, the election was competitive, voters had a broad choice and turned out in high numbers. Fundamental freedoms were generally respected. Some shortcomings were noted by the OSCE/ODIHR, such as misuse of state resources and vote-buying. While the media landscape is diverse, the campaign coverage was often biased, and there was a lack of genuine political debate among the contestants. Yet the election day, which was peaceful, was assessed positively overall and paves the way to the second round. Voting was well-organised, smooth, transparent and efficient, and procedures were generally adhered to. "The EU remains unwavering in its support to the independence, sovereignty and territorial integrity of Ukraine within its internationally recognised borders. We continue to support Ukraine's commitment to ensuring a stable, prosperous and democratic future for all its citizens, with the Association Agreement providing an overarching framework for our close cooperation," the spokesperson said. The pro-Russian church seems to be targeting parishioners in social media ahead of the 2019 elections. Fuzzy foreign policy is detrimental to Italy. Who sponsors the post-Soviet breakaway regions?